Most dogs don't have a problem scarfing down any food that's placed in front of them. They're notorious for gaining weight due to overeating and snacking. Like humans, dogs are susceptible to weight fluctuations throughout their lives. For most dog owners, it's a constant battle to keep their pup from becoming overweight. But what do you do if your dog is underweight? There are many reasons why your dog may need to pack on a few pounds. You may want your dog to bulk up and gain more muscle mass so that they can stay active. There's also a number of health issues that can affect the way your canine companion processes food. Whatever the reason may be, you'll quickly find that standard dog food isn't enough to get the job done. Rather than letting your dog eat to their heart's content in hopes of packing on the pounds, you'll need to invest in high-calorie dog food. These foods are filled with high-calorie ingredients. They can help your dog build muscle and maintain a healthy body weight. Here's a list of some of your best dog food options to help your dog gain weight. 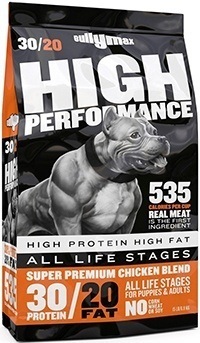 One look at this high-calorie formula from Bully Max and you'll see that it's designed to transform your furry friend into a lean and athletic dog. It's suitable for all breeds and can be fed to puppies as young as 4 weeks old. Whether you plan on feeding this to your dog as their main meal or as a supplement, they'll be getting a high dose of healthy nutrition. In total, protein makes up 30% of the recipe. This mainly comes from the chicken meal. When it comes to fat, the dog food contains 20%. Most of it is from healthy chicken fat. In every cup of dog kibble is an impressive 535 calories. It's also free of corn, soy, and wheat for good measure. 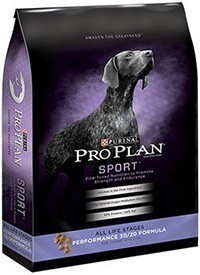 This dog food from Purina can help your pooch develop the strong muscles they need to perform their best in any sport. It consists of 30% protein. Natural chicken meat is used as the main source. This lean meat is full of amino acids to nourish the muscles and keep them healthy throughout your dog's life. A variety of fat sources are used. In total, they contribute to 20% of the recipe. Animal fat and fish oil are utilized to provide your canine with plenty of omega fatty acids. To help aging dogs, glucosamine and EPA are also thrown into the mix. This can help to prevent painful arthritis and bone issues. 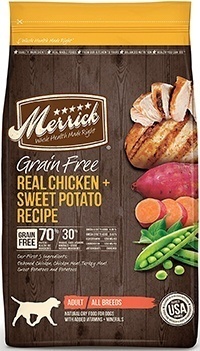 The grain-free dog food from Merrick is a great dog food option for any dog. Wholesome ingredients are used to ensure that your dog doesn't have any issues digesting the food at all. It's designed to promote good overall health by catering to your dog's specific dietary needs. One of the most notable features of the recipe is the protein. It contains 38% protein that comes from deboned chicken, turkey meal, and salmon meal. The inclusion of fish, flaxseed oil, and blueberries also gives your dog plenty of antioxidants and fatty acids. With regular consumption, your dog can maintain a healthy weight while enjoying the added perks of more energy and a shiny coat. 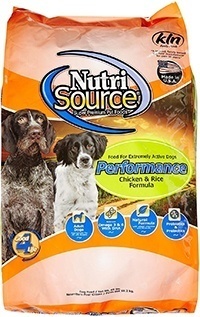 From NutriSource is this simple and effective dry kibble. It also utilizes that beneficial 30/20 ratio to ensure that your dog is getting all the protein they need to gain muscle mass and weight. The 30% protein mostly comes from chicken, chicken meal, and fish meal. Fat from the chicken is used to contribute to the 20% fat content. Additional ingredients like flaxseed, beet pulp, and dried eggs contain numerous minerals and vitamins. The beneficial nutrients are densely packed into small bite-sized pieces. Your dog can eat less food but still feel stuffed. 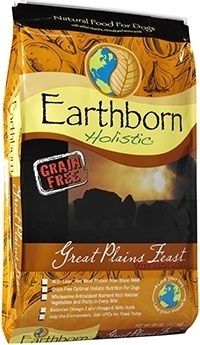 Earthborn Holistic, the manufacturers of this unique formula, has created a balanced formula that can help to condition your dog's body. It's designed to support the muscles and provide the fuel they need to get stronger. Lean red meat from bison and lamb are used as a protein source. To help with digestion, the recipe also contains tapioca starch and peas. A balanced supply of omega fatty acids will keep your dog's coat healthy. Some things you won't find in this dog food are grains, gluten, and artificial flavors. Overall, it's a healthy alternative to standard foods that can help your dog bulk up in a healthy way. 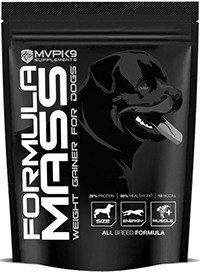 Give your dog's normal meal a boost of calories with this weight-gaining supplement from MVP K9. It's good for dogs of all breeds and can even be consumed by nursing mothers. The supplement comes in powder form. Simply sprinkle the appropriate amount onto your dog's food. It will stick to each piece to ensure that every bit is consumed. Protein makes up 26% of the formula. When added to standard food, your dog will get high amounts of protein to build muscle. 56% of the supplement is healthy fat. The fat comes from vegetables, so your dog is also getting some much-needed nutrients. Looking for a homemade alternative to store-bought dog food? This Satin Ball recipe can be made with only a few simple ingredients. It's chock-full of protein and amino acids. It's a high-calorie food that your dog will love and feel full after eating. The best part of this food is that it's very versatile. You can modify it to fit your dog's specific needs. It can be made in advance, placed in the freezer, and fed raw to hungry dogs of all ages. Start off by mixing the oatmeal and wheat germ in a large bowl. Once they're mixed evenly, add the oil, salt, and molasses. Then, crack open the eggs. Toss in the shells and break them up so that they're easy to consume. Mix all the ingredients thoroughly to create a thick paste-like substance. When they're incorporated evenly, sprinkle in the gelatin powder. The next step is to add the ground beef. You should knead the meat well to ensure that the liquid mixture is spread evenly. The consistency you're looking for is similar to meatloaf. Once that texture is accomplished, you can separate the meat into meal-sized portions. Simply roll it into a ball, toss it in a freezer bag, and store it in the fridge. Make sure to take the ball out of the freezer ahead of time to thaw out before you give it to your dog. Losing weight is usually a symptom of an underlying health issue. Organ malfunction is a common cause. Dogs that are experiencing problems with their liver, pancreas, thyroid, and bowels, are known to suffer from weight loss in some form. Parasitic invasions may also cause weight loss. Worms within their digestive tract will utilize the food your dog consumes to thrive. They'll strip the essential nutrients from the food, leaving less for Fido. To get a better understanding of what's going on with your dog, it's important that you make a visit to the vet. They'll be able to perform tests that can diagnose your dog so that you can provide them with the treatment they need. Because weight loss is often a slow and gradual process, it often goes unnoticed for quite some time. Take a look at your dog's shape from above. A healthy dog will have a smooth slope going from their rib cage to their belly. Visible ribs and protruding bones is a big indicator that they need to consume more calories. Additional symptoms include lethargy, bad eating habits, and a noticeable change in the quality of their fur. Before you start helping your pooch gain more weight, there are a number of things to consider. Adding even a few pounds of weight is a drastic change for any dog. You don't want to do anything that causes harm in the long run. To ensure that your dog goes the weight gain journey in a healthy manner, keep these things in mind. Your first instinct to add calories to your dog's daily intake may be to add extra food in their bowl. While a slight increase in the volume of food may be necessary, too much of it can prove to be problematic. Dogs are creatures of routine. They also have very sensitive stomachs. Overloading your pup with food can lead to stomach problems and fatal bloat. Most dogs can't resist food, so you'll have to be cautious. It's best to make the switch to a dog food that's designed for building mass. These foods are packed with beneficial ingredients. In most cases, they're also nutritionally dense. As a result, you won't have to make a huge change in your dog's serving size to see results. 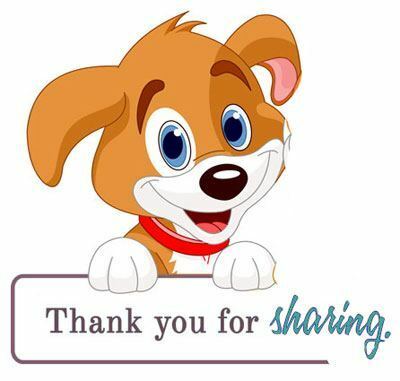 If you are planning on increasing the amount of food your dog is being served, consider splitting it up over the day. Multiple small meals throughout the day are much better than a single large meal. Your dog will have more energy to exercise and plenty of time to digest the food without any issues. Protein is a key ingredient that your dog needs to develop muscles. At the very least, you should be supplying food that's made up of 30% protein. The higher the protein percentage, the better. Look out for high-quality sources like natural animal meat. Stay away from unhealthy byproducts that don't have as much amino acids. High-calorie dog foods also have a healthy dose of fat, omega fatty acids, and nutrients to keep your dog healthy. When you're buying food, you should always take a peek at the ingredients list and choose options with formulas that you understand. Named ingredients are always better than vague components or those from questionable sources. The worst thing you can for your dog is to make an abrupt change to their diet. They didn't lose the weight overnight, so they're certainly not going to gain it back that quickly. If you're switching foods, do so in phases. Start by adding a bit of the new food to their older variety. Over the course of a few days, you can add more food until it's completely replaced. This will give your dog's digestive system plenty of time to adjust. They'll experience fewer stomach issues and you'll have fewer messes to clean up. Fatty treats are just as bad for dogs as they are for humans. They're essentially empty calories that will do no favors for your dog. While some fat is healthy, too much of it can cause even more health issues to occur. You want your dog to gain muscle mass, not fat cells. There are plenty of great high-quality snacks on the market. Go for an option that's high in protein and low on unnecessary carbohydrates. It's also a good idea to provide treats in moderation. Supplements are a great option if you want to stick with your dog's normal food. They can turn a standard kibble formula into a muscle-building meal. These products are available in a variety of different forms to accommodate the needs of your dog. Some are made into pills that can be thrown in with the kibble while others are designed to be delicious snacks. If you have a finicky dog, there are also liquid and powder supplements. They can be mixed in with wet or dry food without your dog even noticing. Like all supplements, it's important that you consult with a veterinarian and follow the feeding directions closely to ensure that your dog is gaining weight at a healthy rate. There are plenty of ways to help your dog gain the weight they need to stay healthy. With a high-calorie diet, your canine companion will build muscles over time without having to constantly eat and develop stomach problems.